Microsoft is pretty excited about Windows Phone 7.5, and that’s probably why they’re now showing it off with an HTML5-based demo that’s meant to be enjoyed on iPhones and Android phones. By stopping in at aka.ms/wpdemo, you can tap and swipe your way through a virtual Windows Phone experience no matter which mobile device you’re using. In particular, Microsoft wants users to get a look at how Windows Phones handle phone calls, photos, messaging, email, scheduling, contacts and nearby search. You’ll be able to tap and swipe to get a realistic feel for how the system actually works. It's a pretty clever idea (even if it doesn’t actually work on Microsoft’s own phones, which is kinda humorous). Though it’s intended for phones (or, I suppose, the iPod Touch), you can try it out on your favorite tablet so long as you don’t mind how it doesn’t scale to a larger screen. Microsoft has done something that few others in the tech world have had the guts to do, and that’s creating a mobile experience that doesn’t attempt to duplicate anything else out there. The front-end of Microsoft's mobile OS is a minimalist 2D interface known as “Metro”, and you’ll get a sense of how it works from the demo in question. 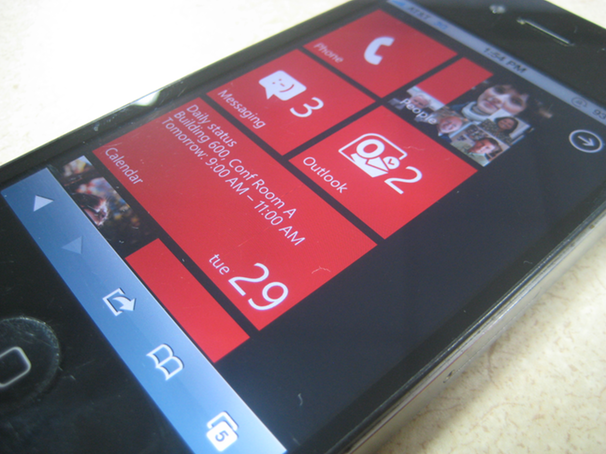 Will it make avowed Apple or Android fans into Microsoft converts? Well, it’s like the old saying goes: You miss 100% of the shots you don’t take.